Francesco Griffo may have taken an entire day to carve a steel punch for the letter A in the typeface he cut for Aldus Manutius’ edition of Francesco Colonna’s Hypnerotomachia Poliphili. Early during the same day he may have written an A as part of the grocery list he would give to his apprentice. The A for the shopping list would have been written more quickly than the brown fox could jump. The two A’s would, inevitably, have looked quite different. Just for starters, the steel punch A would have been upright, and formal – the hand-written one, sloped, cursive, and informal. The informal letter might have had flourishes or other enthusiastic exaggerations. But speed and purpose are only part of the story. Informal writing allows for a level of personal expression and experimentation that is not acceptable in formal scripts. 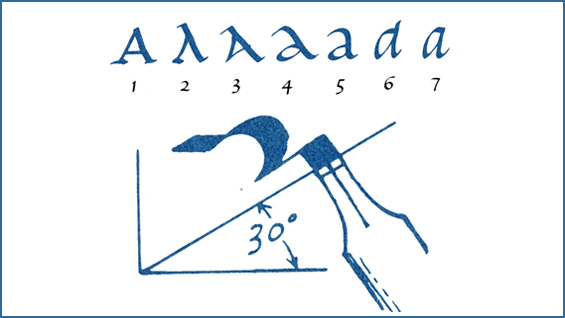 Cursive writing was thereby an engine for the evolution of letterform style up until movable metal type started to be used in Europe. Both the lower case and italic owe their existence to the influence of cursive writing. This lecture will explain several examples, and the general principles that govern the dialectic of the hand and the eye in producing new scripts, both formal and informal. The results, both simple and complex, have been to a large extent responsible for the rich variety we have in our current panoply of typographic form. Sumner Stone is a type designer, type founder, author, and teacher. From 1984–1989 he was Director of Typography for Adobe Systems where he conceived and implemented Adobe’s typographic program including the Adobe Originals. In 1990 he founded Stone Type Foundry Inc., now located in Rumsey, California. The Foundry designs and produces new typefaces and creates custom designs for a diverse range of clients including Hallmark Cards, Stanford University, The San Francisco Public Library, Daedalus: Journal of the American Academy of Arts and Sciences, The Greenwood Press, Arion Press, and Full Belly Farm. His type designs include the popular ITC Stone Sans and the prize-winning ITC Bodoni. His most recent type designs are Davanti, Sator, and Popvlvs.